For many years, the TV show “Monk” reinforced some stereotypes of OCD. In this series, a crime consultant/private detective named Adrian Monk helps local law enforcement solve cases. Adrian’s neuroses run deep and his symptoms are across the entire spectrum of OCD. He’s got it all…and then some. It wasn’t an inaccurate portrayal but it was definitely an extreme. The nice thing about “Monk” was that his OCD was also the reason he was so good at his job. His attention to detail and obsessive nature solved crimes. My primary complaint with this series was that frequently the other characters pitied Adrian and seemed to influence the show’s audience to do the same. They acted embarrassed to be seen with him. On the other hand, Adrian was freaking cool…and his trademark phrases of, “You’ll thank me later,” and “it’s a gift…and a curse,” speak to my soul. One of my favorite quotes from him is, “There’s an old saying: Don’t change anything…ever.” Actually, I have another complaint about “Monk.” While watching it, I developed more quirks and I knew others with OCD who did also. There’s a YouTube video that uses Monk to explain OCD which has clips from “Monk.” It’s a decent explanation though you can see in the clips they chose how the pity built. There are many other portrayals of OCD in books. I tend to prefer where a character’s OCD is secondary to the plot. They’re a character trying to accomplish something and they ALSO have OCD. So, while I own books such as “OCD Love Story,” and “Every Last Word” I haven’t slid them to the top of my TBR. When I was in high school, I dated a guy who worked at a pizza place. He never wanted pizza outside of work. I’m somewhat the same way in reading. I like reading books where the characters have mental illness and still do awesome things, but I struggle to get excited about books where the story is about their mental disorder. It’s been the same thing with autism–I live it so I look for my entertainment to feel more fictional. Having said that, if you’ve read a book with an accurate OCD character or seen one in a movie or TV series, please mention it below as I’m all about spreading the word. For what it’s worth, in my novella “On His List,” Owen has OCD. Additionally, I’m hopeful, eventually you’ll see a paranormal Young Adult novel from me that has an OCD cutter as a main character. I’m trying to sneak OCD into your fiction…I’m devious like that. I’m glad you enjoyed this post. Due to my mental and physical health, I only read-to-review books as requested by my publishers or my agent. Please link to the book, though, in a comment for others to check out. Also, I have a list of “perfectly flawed characters” books and you could also comment on that page. I really appreciated this post. Recently I thought to myself that I would really like to meet another writer with OCD. Then John Green’s latest book “Turtles All the Way Down” started making the publicity rounds and I glommed onto it. I think Green’s book fits your preference of OCD being an undercurrent to the story rather than the main plot, but it fades in and out as the main focus of the protagonist’s thoughts. I think it would be difficult for me to read a book solely about OCD, but this one feels therapeutic. Now you’ve got me excited to start on Christie after I’m finished. Sorry that it’s taken me so long to reply but my health has been funky. I immediately checked out Green’s book when you posted though and it’s on my TBR list. Since I posted this, I’ve published my YA with OCD as an undercurrent. 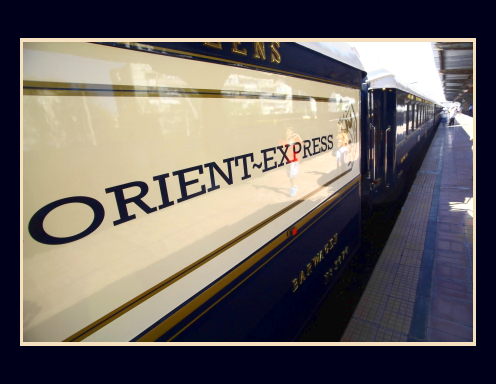 Also, since I’ve posted this, the new retelling of Murder on the Orient Express is hitting theaters. I might need to reread that Christie book.